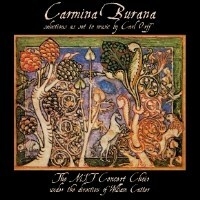 Originating from 1230 AD, the Carmina Burana is a set of medieval manuscripts consisting of 254 poems and dramatic text. It was an epic piece of text that was created by theological students mainly to satirize the church. Most of the works centered on subjects such as wealth, the nature of life, financial abuses, joy of Springtime and even the pleasure and perils of drinking. The Carmina Burana was translated into a beautiful cantata by German composer, Carl Orff in 1937. The composer’s version of the Carmina is now available as a free download right on FMA. Performed by none other than the MIT Choir under the direction of Dr. William Cutter (2006). This is a great piece of classical/medieval music brought to life in these modern times. The album itself might be tough to digest for people who aren’t really keen on classical cantatas. However, it’s quite a treat for those who enjoy this type of musical exercise. Opening with “O Fortuna,” you might be surprised at just how familiar this piece is. Even if you might not be a fan, listening to this actually brings back nostalgic moments. It’s one of those tracks that gets overly played in epic battle scenes in several Hollywood films. The song has been used in hundreds of movies and television shows, a few of which include 300, Jackass, and The Lord of the Rings. Omnia Sol Temperat and Olim Lacus Colueram are only two of the more melodic pieces. The latter being an aria that has to be sung in falsetto to express the singer’s suffering. It’s a lovely, very expressive piece that captures the cynicism and despair of the character. People who might not like classical pieces might still find something special in this record. If this MIT version is a bit too classical for your taste, there’s a more rock and roll version done by Dr. Phibes and the Ten Plagues which features several movements from Carl Orff’s Carmina Burana as well.